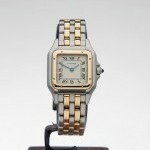 Xupes is a web based company dealing in fine watches, jewellery, art and antiques and associated luxury goods. The company was established in 2009 and bases its trading on strict policies of absolute honesty, integrity and professionalism. We consider you, the client, as paramount to the success of our business. We aim to deliver a personal service to make you comfortable in your new purchase offering luxury products at some of the most reasonable prices on the web. All our products are fully backed by our guarantees giving you total peace of mind. Case material: Steel; Charge: Automatic; Conditions: Excellent Year : 1989; Presentation condition : With dealer guarantee ; Place: United Kingdom, Bishop's Stortford Model: Oyster Perpetual Price on request Xupes Reference: 67193 This is a pre-owned Rolex Oyster Perpetual ladies 67193 watch. 26mm case size in stainless steel/18k yellow gold, champagne dial on a stainless steel/18k yellow gold bracelet, powered by a automatic movement. 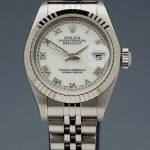 This Rolex is in excellent pre-owned condition complete with xupes presentation box. Circa 1989. The case bears the serial number L29**** Our Xupes reference is W2916 should you need to quote this. Case material: White gold; Charge: Manual; Conditions: Excellent Year : 2009; Presentation condition : With dealer guarantee ; Place: United Kingdom, Bishop's Stortford Price on request Xupes Reference: WA503851or2497 This is a pre-owned Cartier Tortue original diamonds unisex WA503851 or 2497 watch. 34mm by 43mm case size in 18k white gold, silver guilloche dial on a black alligator leather bracelet, powered by a mechanical wind movement. 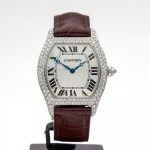 This Cartier is in excellent pre-owned condition complete with box, manuals & guarantee dated 29th December 2009. The case bears the serial number 361*****24 Months Comprehensive Our Xupes reference is W3110 should you need to quote this. Case material: Steel; Charge: Automatic; Conditions: Excellent Year : 2001; Presentation condition : With dealer guarantee ; Place: United Kingdom, Bishop's Stortford Model: Navitimer Price on request Xupes Reference: A13330 This is a pre-owned Breitling Navitimer fighters chronograph gents A13330 watch. 41mm case size in stainless steel, black dial on a stainless steel bracelet, powered by a automatic movement. 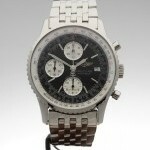 This Breitling is in excellent pre-owned condition complete with guarantee dated 10th June 2001. The case bears the serial number No:****24 Months Comprehensive Our Xupes reference is W2988 should you need to quote this. Case material: Yellow gold; Charge: Manual; Conditions: Excellent Year : 1960; Presentation condition : With dealer guarantee ; Place: United Kingdom, Bishop's Stortford Price on request Xupes Reference: 163045 This is a pre-owned Jaeger-LeCoultre Vintage unisex 163045 watch. 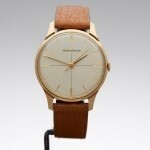 33m case size in 18k yellow gold, silver baton dial on a brown leather bracelet, powered by a mechanical wind movement. 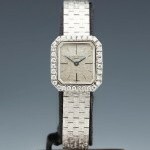 This Jaeger-LeCoultre is in excellent pre-owned condition complete with box only. Circa 1960's. Our Xupes reference is COM777 should you need to quote this. Case material: Yellow gold; Charge: Automatic; Conditions: Excellent Year : 1987; Presentation condition : With dealer guarantee ; Place: United Kingdom, Bishop's Stortford Model: Lady-Datejust Price on request Xupes Reference: 69178 This is a pre-owned Rolex Datejust ladies 69178 watch. 26mm case size in 18k yellow gold, white dial on a 18k yellow gold bracelet, powered by a automatic movement. 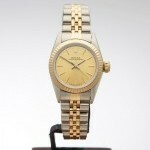 This Rolex is in excellent pre-owned condition complete with xupes presentation box. Circa 1987. The case bears the serial number 984****Xupes 12 month warranty Our Xupes reference is W2811 should you need to quote this. Case material: Steel; Charge: Automatic; Conditions: Excellent Year : 1995; Presentation condition : With dealer guarantee ; Place: United Kingdom, Bishop's Stortford Model: Datejust Price on request Xupes Reference: 69174 This Rolex Datejust is in excellent condition complete with Box Only. The case bears the serial number T90****. The model number is 69174. Xupes 12 months warranty. Our Xupes reference is W1775 should you need to quote this. Case material: White gold; Charge: Manual; Conditions: Excellent Year : 1950; Presentation condition : With dealer guarantee ; Place: United Kingdom, Bishop's Stortford Model: Vintage Price on request Xupes Reference: nessuna This Vacheron & Constantin Vintage is in excellent condition complete with Box Only. Xupes 12 months warranty. Our Xupes reference is W1736 should you need to quote this. Case material: Rose gold; Charge: Manual; Conditions: Excellent Year : 2005; Presentation condition : With dealer guarantee ; Place: United Kingdom, Bishop's Stortford Model: Tortue Price on request Xupes Reference: 2689G This Cartier Tortue is in excellent condition complete with box, manuals and guarantee dated 31st January 2005. There is a very slight scratch to the glass above the 6 marker as seen in the photographs - this is barely visible in natural light. The case bears the serial number No.*******. The model number is 2689G. Xupes 12 month warranty. Our Xupes reference is W2059 should you need to quote this. Case material: Yellow gold; Charge: Manual; Conditions: Excellent Year : 1990; Presentation condition : With dealer guarantee ; Place: United Kingdom, Bishop's Stortford Model: Tank Bi Plan Price on request Xupes Reference: nessuna Excellent condition very rare Cartier Tank Bi Plan 18k Yellow Gold Mechanical "Love Cartier" Anniversary Limited Edition. Silver dial with Roman Numerals. A rare model which is not seen often. 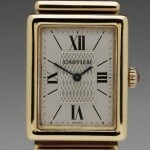 Cartier box, manuals & guarantee included. 12 months Xupes warranty included. Xupes Ref: COM043. 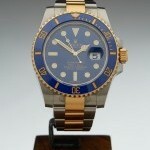 Case material: Steel; Charge: Automatic; Conditions: Excellent Year : 2014; Presentation condition : With dealer guarantee ; Place: United Kingdom, Bishop's Stortford Model: Submariner Price on request Xupes Reference: 116613LB This pre-owned gents Rolex Submariner is in excellent pre-owned condition complete with box, manuals & guarantee dated 20th November 2014. The model number is 116613LB . Balance of manufacturers warranty. Our Xupes reference is W2503 should you need to quote this. Case material: Steel; Charge: Automatic; Conditions: Excellent Year : 2000; Presentation condition : With dealer guarantee ; Place: United Kingdom, Bishop's Stortford Model: Navitimer World Price on request Xupes Reference: A24322 This is a pre-owned Breitling Navitimer world time gents A24322 watch. 45mm case size in stainless steel, black baton dial on a black leather bracelet, powered by a automatic movement. 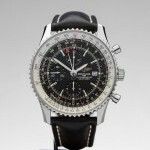 This Breitling is in excellent pre-owned condition complete with box only . Circa 2000's. The case bears the serial number 278****. Our Xupes reference is W3334 should you need to quote this. Case material: Steel; Charge: Quartz; Conditions: Excellent Year : 2000; Presentation condition : With dealer guarantee ; Place: United Kingdom, Bishop's Stortford Model: Panthere Price on request Xupes Reference: 166921 This is a pre-owned Cartier Panthere two row ladies 166921 watch. 22mm by 30mm case size in stainless steel/18k yellow gold, cream dial on a stainless steel/18k yellow gold bracelet, powered by a quartz movement. 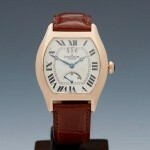 This Cartier is in excellent pre-owned condition complete with box only. Circa 2000's. The case bears the serial number O48***24 Months Comprehensive Our Xupes reference is W3241 should you need to quote this.